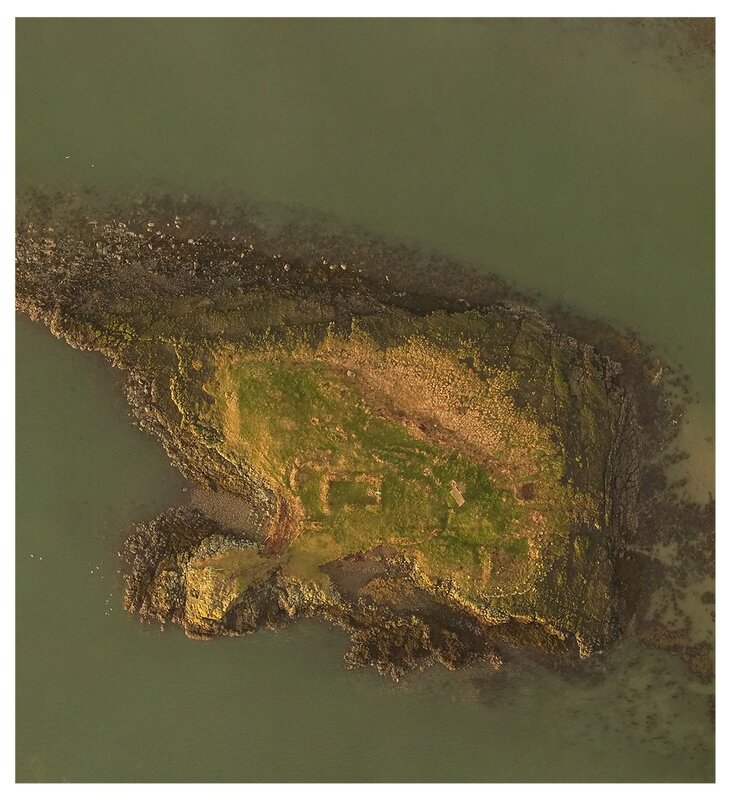 St. Cuthberts island is a small islet isolated from the Holy Island by a rocky pathway only revealed at low tide. Legend states this exposed rock was the home of St. Cuthbert for some of his time on Lindisfarne when the holy man decided to live as a Hermit. He died in his cell on the island in 687AD. Whatever the truth of the legend the fact is there are some vague remains on the island that could be interpreted as structures. 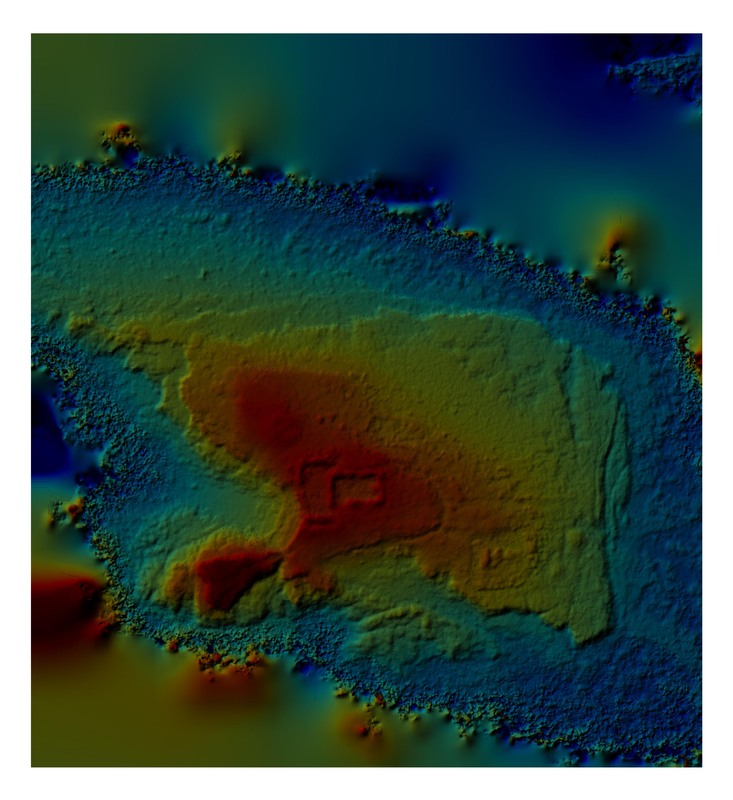 The elevation mapping process reveals these remains to be a two-celled structure. Is this Cuthbert's cell? Who knows. But with the desolate beauty of the coastline, the cries of the seabirds and the groans of the seals carried on the wind from the nearby Farne islands its easy to believe it could be, and that is enough for most people. A site well worth the visit.